Acupuncture comes to Joplin, Missouri! At Family Chiropractic of the 4 States, ancient wisdom meets modern technology. 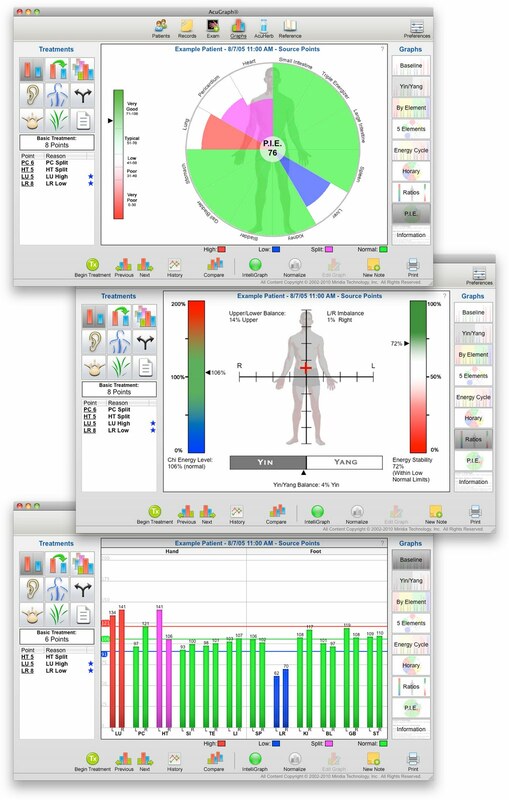 Using state of the art acupuncture software, Acugraph, Dr. McDaniel is able to gain better insight into your condition to create a personalized treatment plan for you. What is acupuncture really and how can it help? In traditional Chinese medicine, acupuncture is linked to the belief that disease is caused by disruptions to the flow of energy, or Qi, in the body. Acupuncture stimulates points on or under the skin called acupuncture points or acupressure points, releasing this Qi (pronounced chee). The qi is then able to flow through the channels of energy called meridians. Think of your body as a river. On our planet, rivers flow bringing nourishment to plants, animals and people. If the river becomes blocked or restricted water would not be able to flow properly to provide nutrients, no water would mean death. In our body, meridians are like great rivers flowing within us. Qi is water, or life force, activating and enlivening your entire being and providing energy for everyday activities. When Qi is blocked, an imbalance occurs causing symptoms and ill-health to occur. Our goal is to discover where Qi has become restricted, blocked and out-of-balance to uncover the root cause of your symptoms then take the steps to facilitate free flowing Qi again. Hundreds of clinical studies on the benefits of acupuncture show that it successfully treats conditions ranging from musculoskeletal problems (back pain, neck pain, and others) to allergies, nausea, migraine headache, anxiety, depression, insomnia, infertility, weight loss, gastrointestinal disorders, and many others. Family Chiropractic of the 4 States is a holistic health center proud to offer Acupuncture therapy in Joplin. No, it does not hurt. The needles are solid stainless steel and so thin they could actually fit inside a needle used to draw blood. If you are uncomfortable with needles, Dr. McDaniel is trained in acupressure therapy and the use of laser therapy to stimulate acupuncture points. 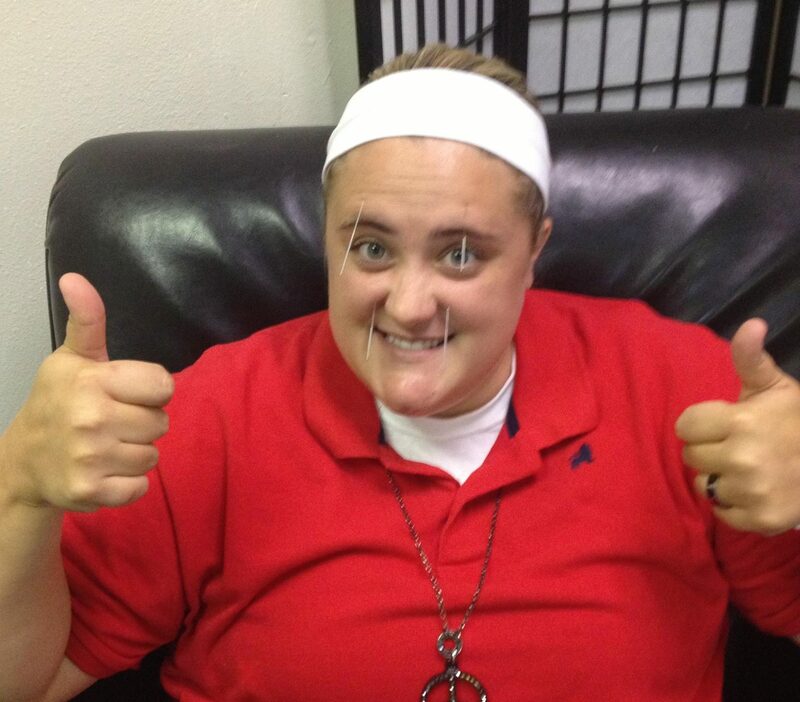 Our patients smile during and after their acupuncture therapy! We offer great pricing on our acupuncture sessions! Call our office today to find about acupuncture for pain relief, allergy relief and general well being! Acupuncture in Joplin, Missouri is available for you at Family Chiropractic of the 4 States with Dr. Russ McDaniel!